How much are you willing to spend on a bottle of whiskey? And I don’t mean a bottle to sit collecting dust on a shelf like a museum piece or speculating on the next flipping opportunity. I mean how much are you willing to spend on a bottle of our beloved aqua vitae that you will actually uncork, appreciate and share? Picking a whiskey to enjoy can be a fraught process at any price point. It’s not like you can try before you buy in most instances. Supermarkets and online shops are strewn with ‘big brand’ dangers like Jack Daniels, Jura and the Viking invaders of Orkney, ready to pounce and pillage you of your soul and hard-earned cash. Surprisingly often when I chat with people about whiskey, they think I’m off my rocker spending £50 on a single bottle. To be fair for a large number of whiskey drinkers £50 is a sizeable investment for just one bottle when you could nip down to the supermarket and easily buy two bottles for the same money. Investing £50 in a bottle can also be intimidating when it’s a leap in the dark, taking a punt on a previously unknown brand that may reward with utter delight or may chasten with the cold hand of disappointment. This means for many they refuse exploration for the comfort of returning to what they know time and time again. Whiskey can be an expensive product and that’s why here at Malt we have a scoring band to try and help guide you through the whiskey maze. Read it and you will see that cost and value play a large part in our thinking. When you get into the £75 and £100 plus price brackets you are, for the majority of the whiskey buying public entering into ‘special occasion’ territory. At this price level, we would all like to think we are getting something pretty special. But of course dear Malt reader, we know that a high price tag, like a high age statement, means precious little when it comes to quality. There is, of course, sound reason why heading north of £100 on a bottle of whiskey can lead to a sense of nervous trepidation. Most of us aren’t rolling in money. We have bills to pay, mouths to feed, feet to shod, mortgages or rent to cover….the mundane realities of life that consume most of our income. North of £100 can represent a sizeable chunk of someone’s disposable income. To get really boring it comes down to basic economics. The law of demand states that, with all other things being equal, demand for a product falls as the price gets higher. This is because as the purchase price increases so does the opportunity cost. Opportunity cost being the value of what you have to give up to choose something else. There are plenty of examples here on Malt where this is the case. That lower priced expressions offer a similar or greater experience and more value than their costlier counterparts. Personally, I have only breached the £100 mark on a very few occasions. One of the bottles I was able to try beforehand and so I had no qualms of handing over my cash. The rest have been shots in the dark and yes, they are all open! Two of the expressions are those up for review today and I did indeed have that nagging doubt at the back of my mind as to whether they would be worth the investment. The first up for review is the Redbreast 16 year old All Sherry Single Cask bottled exclusively for Master of Malt. It cost £140. My rationale for this purchase was that this could be my only chance to buy one of these at an ‘affordable’ price. Many similar age statement single cask Redbreasts had been sold for substantially more by other retailers. Considering that the cask outturn was 582 bottles, I knew these wouldn’t hang around for long, with many destined for the dreaded auctioneer’s gavel. Indeed, recently one sold for £410 on a well-known auction site. Distilled in 2001 and laid to rest in Cask No. 18829 in Warehouse M15A Bat 003, this 1st fill oloroso sherry matured beast was bottled at a healthy 60.2% abv and natural colour and non-chill filtered. 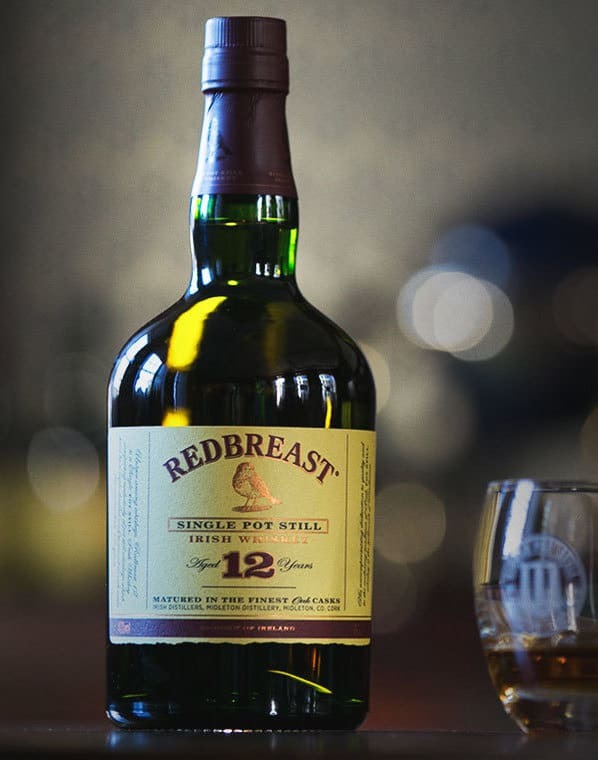 The Redbreast 21 year old is currently the oldest expression in the core line-up and was released a relatively short time ago in 2013. It is released in small batches. 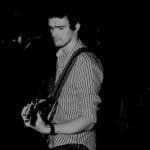 I recently saw a video of Dave McCabe, Apprentice Blender at Midleton, state that each batch comes from just 32 barrels generally. Not massive quantities then and probably what some distilleries would class as a worthy of being a ‘limited edition’. It is made up of 1st fill bourbon and 1st fill oloroso sherry cask matured whiskies. Bottled at 46%, non-chill filtered and I have it in good authority also natural colour. This bottle cost me £140 in duty-free at Dublin airport. This is the one that concerned me the most as I really like the 12 year old, love the 12 year old Cask Strength, but I’m not blown away by the 15 year old. I would take a regular 12 year old Redbreast over the 15 year old any day. So I was worried. Worried that the extra ageing would negatively affect the whiskey and that the considerable extra outlay would be ill-advised. On the nose: An immediate spice and alcohol punch to the face. Once it settles you get liquid Christmas cake – buttery cake batter, sultanas, figs, dates all coated in dusty Spanish oak, nutmeg, cinnamon and clove. Cracked walnuts, dark chocolate and tobacco leaf – underneath the fruity pot still struggles a little to express itself. Water sweetens things up – marzipan, caramelised brown sugar, raisins and some pine needles. In the mouth: Unsurprisingly considering the abv it is thick, oily and spicy. Slightly hot from the alcohol and also quite dusty. Raw ginger heat with cloves and a little menthol. Again once settled the dark fruit of raisins, figs, dates comes to the fore with caramel, espresso, liquorice and walnuts. Water, as with the nose, sweetens things up and brings the baking spices of cinnamon and nutmeg out, black pepper and dark chocolate. The finish is long, spicy with coffee and dark fruit notes. On the nose: You can tell there is maturity here – everything great about the 12 year old but amplified. An initial surge of dry spiciness gives way to peach melba, apricots, rhubarb & custard sweets, sweet vanilla and ginger. Sherry notes are present but don’t dominate – figs, prunes, old leather and rolling tobacco with a beautifully balanced European oak spice. A little more time allows orange zest and cocoa to appear. In the mouth: A beautifully mouth coating oily texture. The dark fruit of figs and prunes arrive first, stewed plums and peaches, baked apples, vanilla, fudge, coffee, leather and muscovado. Lovely pot still spice with ginger, clove, cinnamon and toasted oak. The finish is long with apricots, dried citrus fruit, cocoa, muscovado, toasted oak and spice. I think I’ve garnered a bit of a rep as the grumpy git of Irish whiskey blogging, so it comes as a welcome relief that I can be effusively positive about these two expressions. The Master of Malt single cask is a great drop of pot still whiskey and personally, I think was well worth the entry fee of £140. Especially against the backdrop of some of the other Redbreast Single Casks released recently like the 19 year old La Maison du Whisky bottling that Master of Malt sold for over £350. It definitely benefits from a drop of water, although it is surprisingly drinkable at full abv. My only real gripe is that it is more cask than spirit. The 1st fill oloroso sherry cask has just overpowered the pot still spirit a little. If you like sherry bombs then you would love this. Saying that because it is so dominated by the sherry it is actually a less complex whiskey than the 12 year old Cask Strength, which handily is also much cheaper at around £85. What can I say about Redbreast 21? All hail the King! 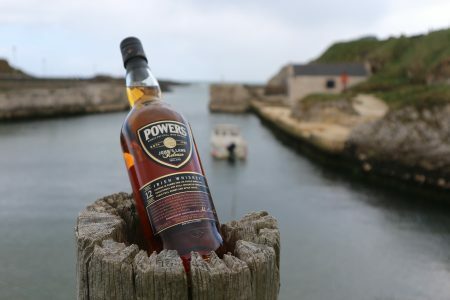 Just a stunning expression of not just Irish whiskey, but of whiskey of any kind from any country. You can easily appreciate a drop of this for an hour, allowing for a continuous ebb and flow of aroma and flavour development – that’s if you can keep it in your glass for that long. Any worries I had about this whiskey not living up to expectations were very, very quickly dispelled. Mature yet vibrant and sublimely balanced I will definitely be replacing this once it’s finished! Until then, I will enjoy every last drop I have left. Sounds go good! It’s 14 quid for a sample in my local. I really loved the 12 cask strength and many have told me to stick with the cask for value to quality ratio over the 21. The 21 does go on offer on amazon from time to time. In your case it may be worthwhile to try before you buy. The 12 CS is amazing value and a brilliant whiskey…..but the 21 just delivers in spades, some of the whiskey used in the vatting is up to 27/28 years old. The nose alone is worth paying for. You bugger, Phil! I bought the 21 for a bargain £110 but had second thoughts and thought I might flip it at some point – it’s a big outlay as you say. It’s been gathering dust for a while. Now I may have to uncork the fucker! Ah you managed to get the ridiculous Amazon offer then! Very fortunate. Although it is very much to you whether you move it on I would encourage you to treat yourself and uncork it! 10/10, holy moly, how rare is this! 10’s are very rare on Malt….possibly 5 given in total. I think it will be a while before I find anything else that makes me give out another 10. I tried it tonight and although I agree with you the nose is beautiful, it goes on forever. I don’t know if I can justify the extra price over the cask strength and truth be told although I love that grainy potstill quality I’ve replaced the redbreast cask with the A’bunadh which has since increased in price but there you go perhaps the Tamdhu batch strength should be where I move to next. A lovely dram all the same and thanks for recommending it. I know your dilemma. The RB12 cask strength is brilliant value and I gave it a 9. It’s a whiskey that is now a permanent addition to my whiskey shelf. After the price rises I don’t see me adding any more Abunadhs unless they are on offer and I agree the Tamdhu is a great alternative. You guys are SO lucky! Here in the states the 21 goes for north of $300 a bottle! (About £235) While on a recent trip to Dublin I picked up a bottle for about 160 euros. Even paying VAT it was 100 euros cheaper than I can get here. You bet I found a secure place in luggage for that baby.